13×23: The extended view of the map available through plus. 7×9: The view in the map while centered on a location. Artefact: A special item stored in the treasury that grants bonuses to its holder. Ban (Forum): When a Moderator blocks access to your account for a rule violation. Rules are found here. Ban (Game):When a MH locks your account for a rule violation. Message them at (0,0) to resolve this. Rules can be found here. 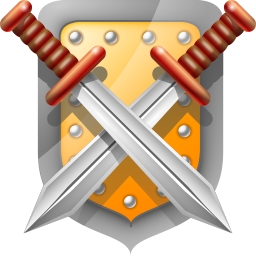 Battle Groups: A collection of players with in an alliance or meta that operate as a group for the purpose of coordinating attacks and/or defence. Catapults (catas/cats): Destroy buildings. Counts as infantry units. Cheating: Violating the game rules. Construction Plans: An artefact that is required to build a World Wonder. A builder needs a set to build to 50, then needs another alliance member with a set to build past that. End Game: The period of the game after natar plan villages spawn. See the guide for the end game here. Flame/Flaming: Being insulting on the forum. Ghost Hammer: A large amount of Theuates Thunder used to quickly take down small pockets of defence. Noob: A contemptuous (unfavourable) reference to a newbie. Many uses depending on context. Reinforcements (Reins): Troops stationed in another village, usually for defensive purposes. Second Kill: Timing your troops to land a second behind someone else’s in an attempt to kill them. Secondary Clear: A second clearing wave to eliminate any remaining defence. Troll: Someone who posts inflammatory statements in the forum for a reaction, don’t feed the trolls!